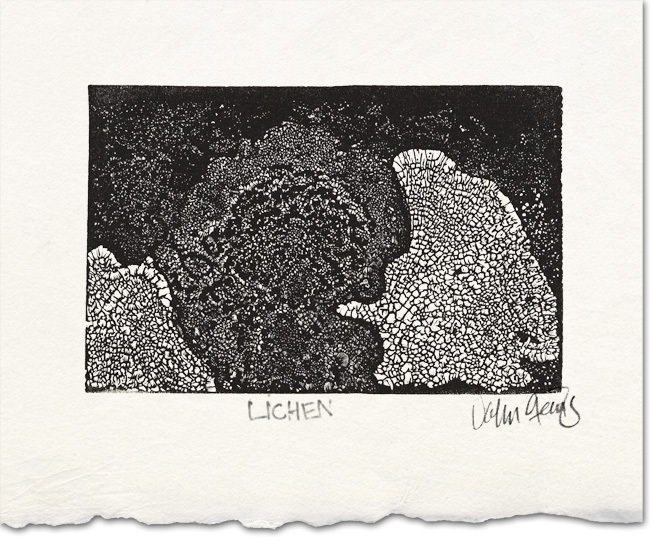 Detailed rendering showing the crackled texture of lichen growth found on rock surfaces in the arctic tundra. This might be considered a good example of black line engraving on end-grain boxwood where all the white areas are scooped out with the engraving tools leaving the black lines to describe the image. I employed a photo taken by Bob Frisch as a reference for the design. Paper and deckle are for illustration purposes.